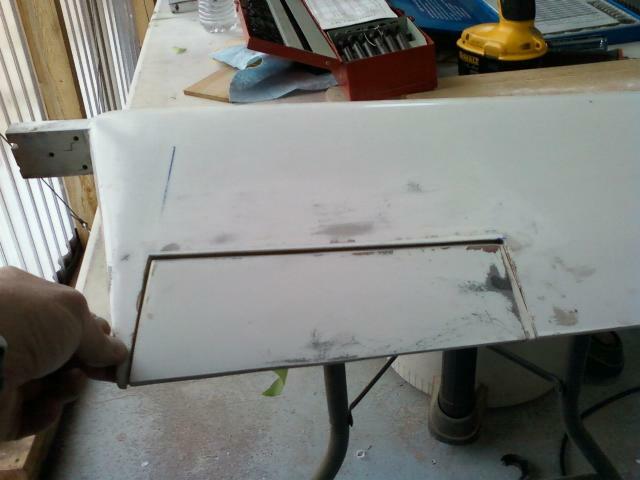 section that is to become the trim tab out of the elevator. 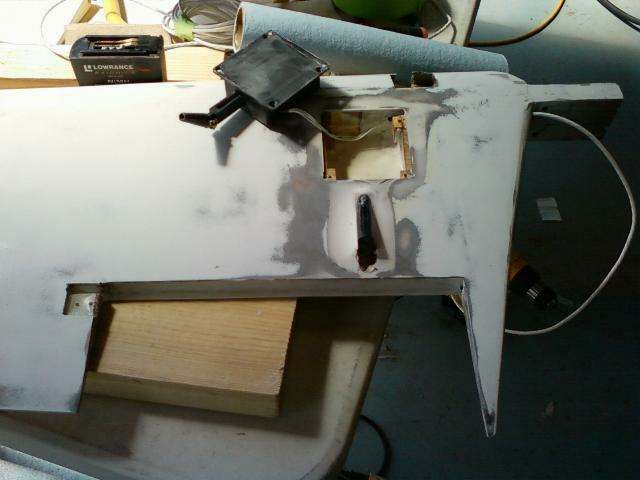 I am bonding the delam back together in the photo. 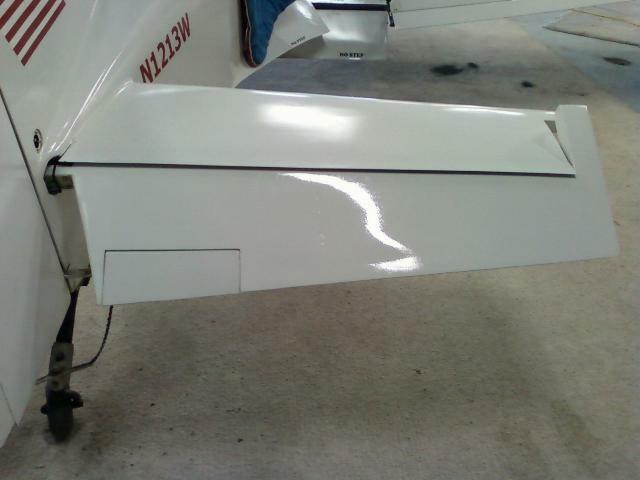 March 13 - Here is the new trim tab. 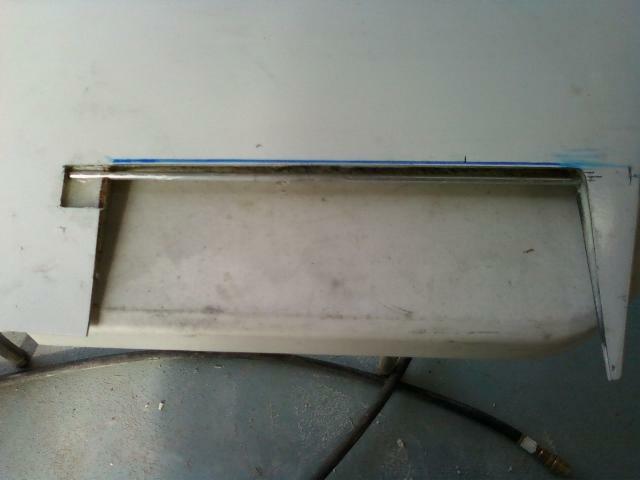 It also had the same internal delamination, so I am also bonding it back together. 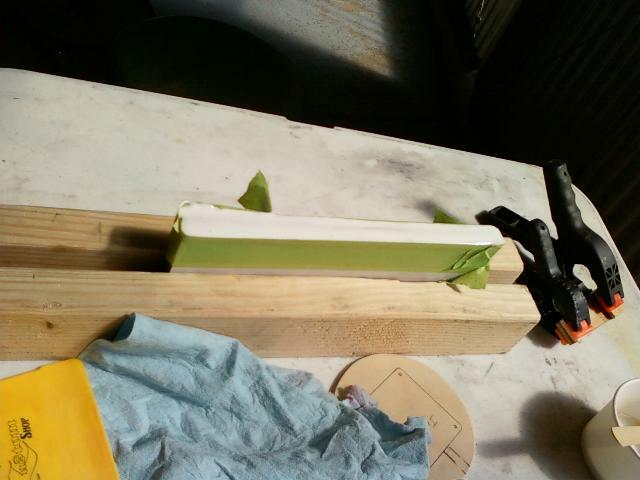 brass tube to create the trim hinge. 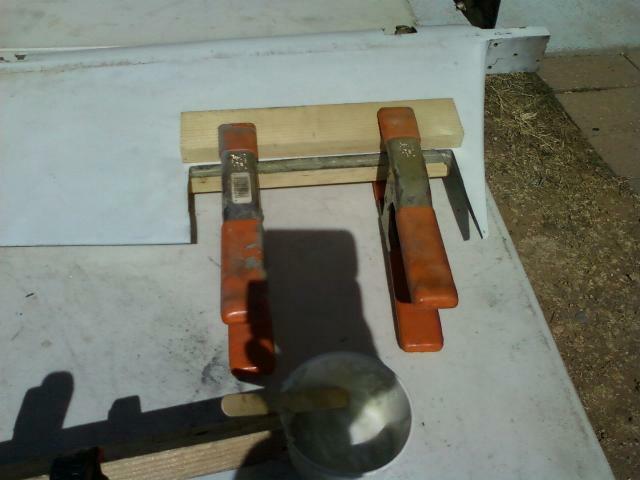 I'll pull the tape off and sand the finish taper into the front edge of the tab. 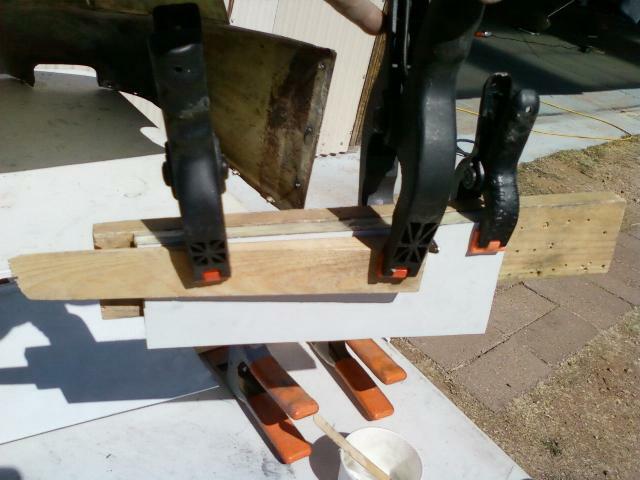 March 17 - Here is the trim tab hinge. This rod has the right end passing through the plywood rib in the elevator. 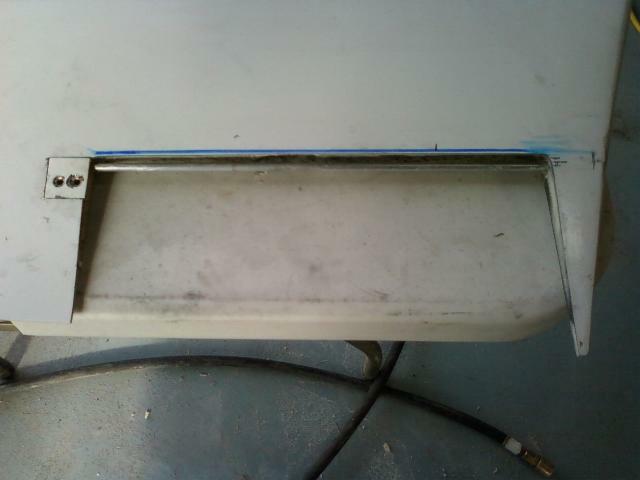 This cover holds the trim hinge in place. 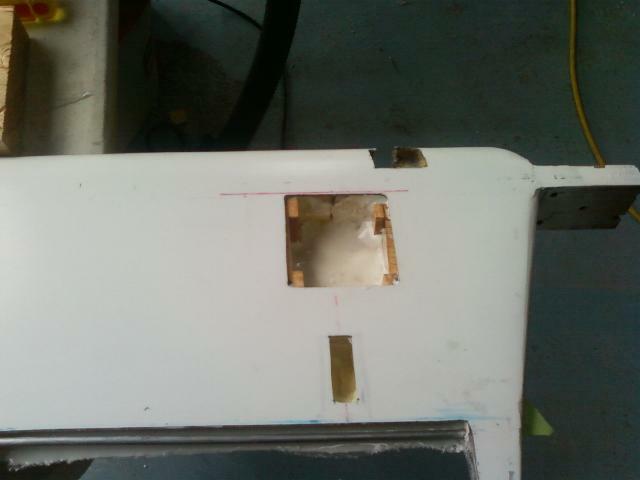 Here is the cutout for the trim servo and the exit area for the servo rod. 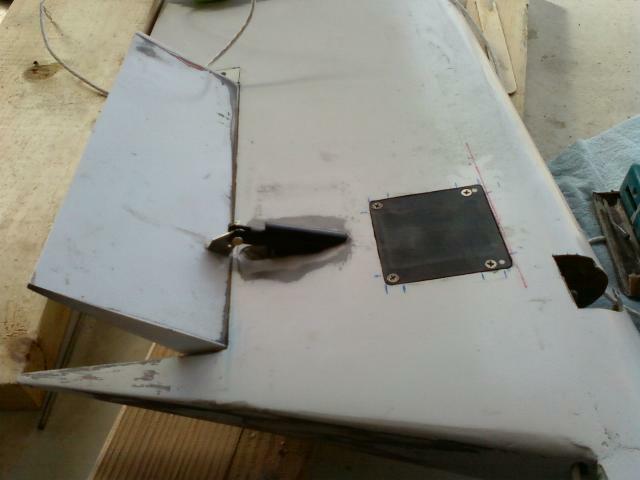 photo also shows the aluminum plate screwed on to hold the trim tab hinge in place. 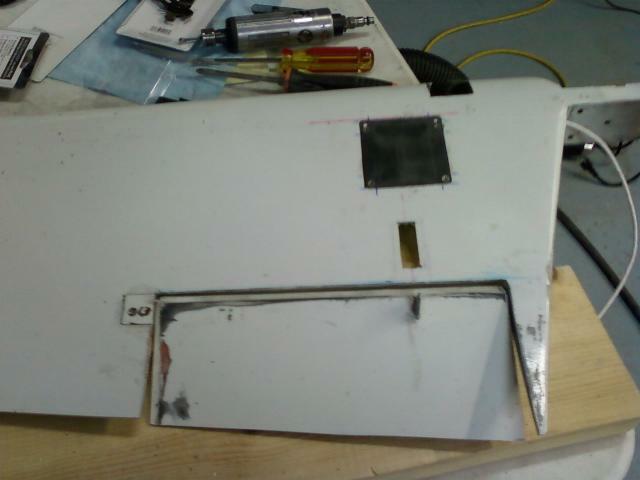 Elevator right side up and trim to full nose down. 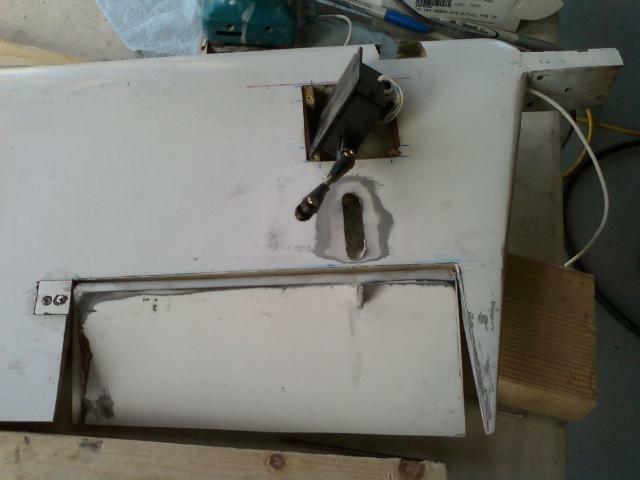 Note the cleaned up edge where the trim tab meets the elevator. Trim to full nose up. 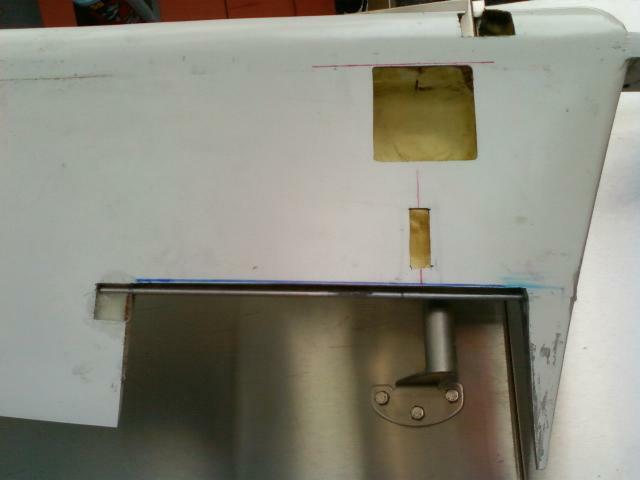 March 23 - Trim servo and push rod to trim tab. Fairing installed over top of push rod. 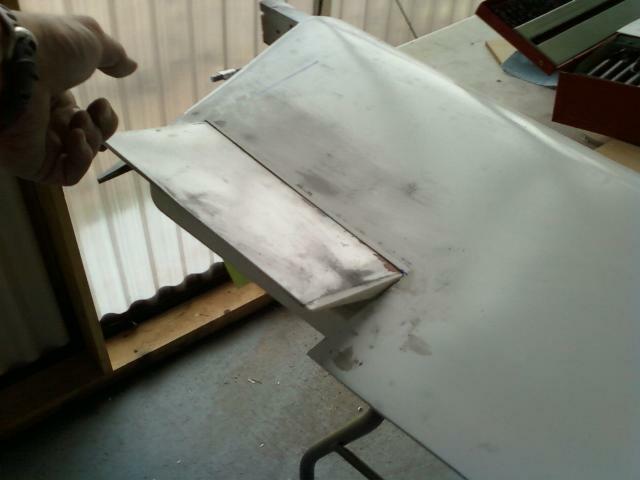 Filling with micro around the servo and fairing. 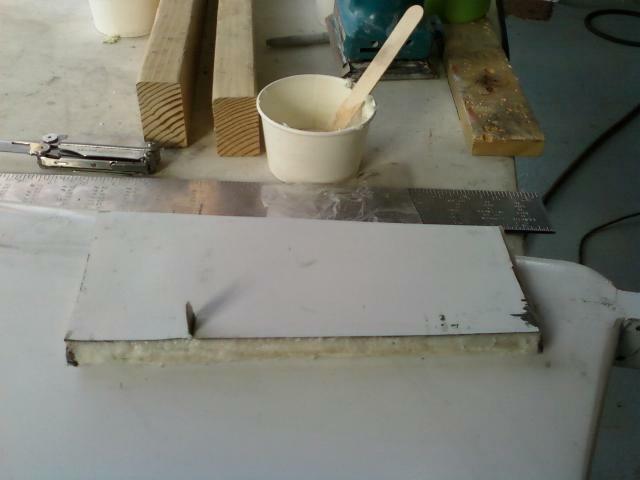 March 24 - Final sanding for the tail. 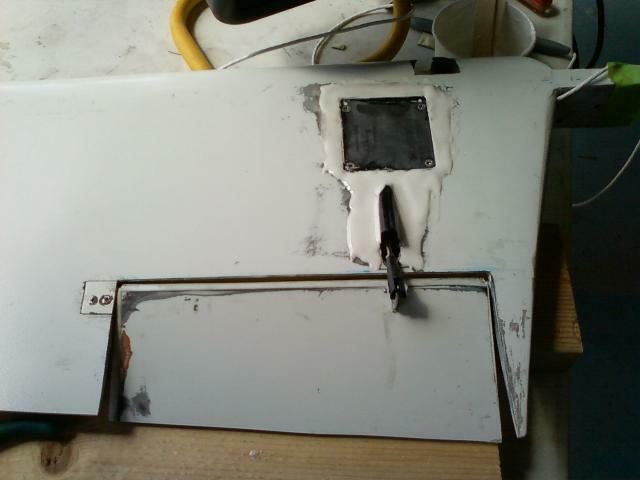 Now it's ready for paint. 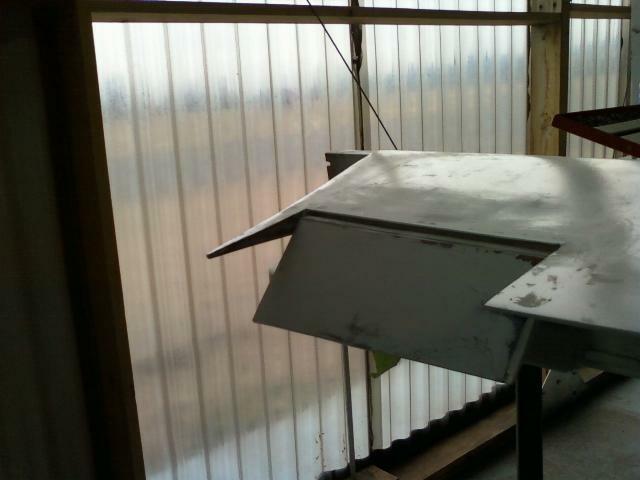 May 4 - Elevator painted and re-installed, now with a Ray Allen Servo actuated aerodynamic trim. with this trim, although it may not be a nice landing. 2 Year Update: Same evaluation.